Israeli special forces stormed a West Bank hideout early on Tuesday and killed two Palestinians suspected in the June abduction and slaying of three Israeli teenagers, a gruesome attack that had triggered a chain of events that led to the war in Gaza this summer. ------CBC keeps insisting that nothing that went before the killing of the three teens was relevant. The fact that two Palestinian teenagers were killed in cold-blood just the month before was not relevant. Israeli Prime Minister Benjamin Netanyahu welcomed the development in an interview to air Tuesday at 5 p.m. ET with Evan Solomon, host of CBC News Network's Power & Politics. "We said we'd find them. We did find them," Netanyahu said of the Hamas militants. "It's not a claim. We did indeed finally find the two terrorists who actually murdered these three teenagers." He said the kidnapping, as well as the violent conflict with Hamas over the summer, shows "we have to understand it's either peace or Hamas." ------How often does CBC quote this war criminal, Netanyahu??? Where is a counter-balancing quote showing that it is EITHER JUSTICE OR WAR, or as said so often in pro-Palestinian demonstrations; NO JUSTICE NO PEACE. Why does CBC favour war-mongering quotes from war criminals???? -------CBC does not mention that thousands of innocent Palestinians were terrorized in this manhunt, and several were killed, nor that most of those arrested had nothing to do with the kidnapping and had been released from Israeli jails as part of a negotiated agreement, so Israel was reneging on the agreement. These are all relevant facts because they explain why Hamas was so angry and began sending more rockets into Israel. Ignoring these extremely relevant and important facts, as CBC so consistently does, is tantamount to deception and lying. -----How often has CBC published the photos of these three? Compare that to the lack of details on the over 500 children killed by Israel in Gaza, and dozens of youths routinely killed in the West Bank. -----Really Hamas has repeatedly tried to abduct Israeli civilians? Then why does it happen so seldom? I doubt that this is true, but look at CBC beloved source, an Israeli official. Qawasmeh's mother Hanan described her son as "a hero" and said it was far better that he had been killed in battle rather than falling into the hands of Israeli forces. "Thank God that he and the other man were martyred," she said. -----This is a LIE. He did not say his group was responsible for the killing; he said the killers were members of Hamas. They were most likely acting independently. The killers of the Palestinian boy in Jerusalem were members of an extremist Jewish settler group. These Jewish settlers are more racist, more fascist, more brutal than Hamas, but CBC has never once intimated that the killers in this case were not acting independently. And although CBC does not report this, it is very likely members of these extremist groups have praised the murderous actions of these three Israeli killers in the same way that Hamas does its so-called "martyrs". The mass murderer of praying Palestinians in a Hebron mosque many years ago (Baruch Goldstein) is virtually worshipped as a hero by the Hebron settlers. This is imbalance. CBC always bends over backwards to throw a negative light on Palestinians, but completely refrains from revealing the very obvious, and equally reprehensible, ugliness of Jewish extremism. ----OK, a brief mention, but where is his photograph? Where is the name and photograph of his killer. CBC did not report that it appears he had gasoline poured over him and was burned alive. Show us the picture of the brutal Israeli killer. What is his name? It is a Jewish name (Ben-David). Let us see this monster and know the evil that supports his brutality which is widespread in Israel. But that would be balanced, and thats the last thing CBC wants. - Israel has confiscated 1,000 acres of Palestinian land; the biggest land grab in years, and is naming the area after the murdered teenagers. This is relevant to this issue and should have been reported as it clearly demonstrates that Israel is not interested in peace. - Israel is moving Bedouin families off their land deep inside the West Bank with the intention of expanding the settlement blocks that effectively cut the west Bank into two parts. This will end the possibility of a viable Palestinian state. - the Israeli Supreme Court has decided that Jewish communities all over Israel can exclude non-Jews from living in them, simply because they are not Jewish. In Canada we did away with these kind of laws which discriminated AGAINST Jews 40 years ago, but in the Jewish State it is now officially kosher to discriminate against people based on their ethnicity or religion. 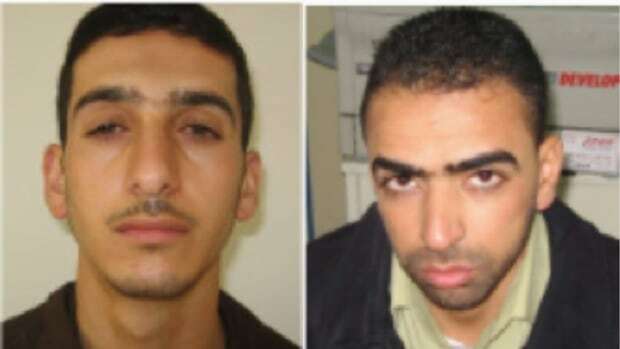 - the killers of the Palestinian youth have been found. Two of them are minors and their names are not published, but they are all members of an extremist Jewish settler group. Why is this not headline news? Incidentally two years ago I worked in Palestine helping Christian farmers from Bet Jala and Bethlehem to harvest their olives in land now being confiscated from them by Israel. I know their pain, and am doubly pained to see CBC ignoring it completely, even though it is related to the recent Gaza conflict.